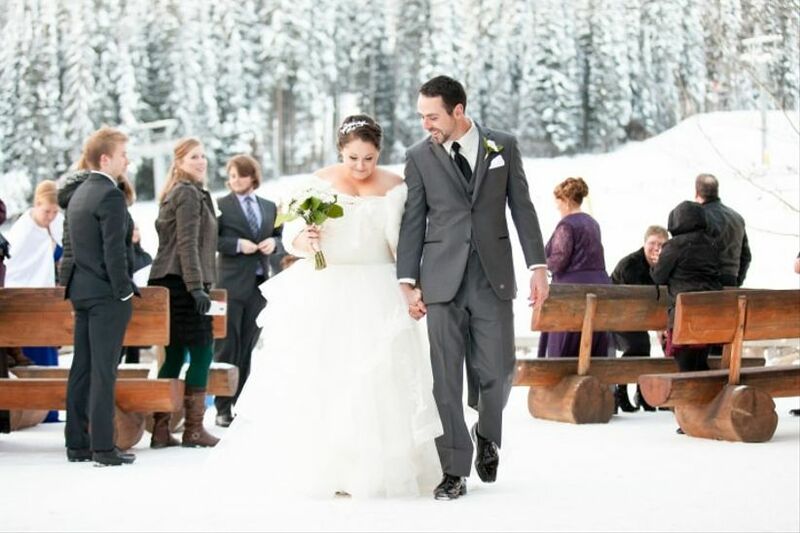 5 Tips for Choosing a Winter Wedding Dress | Wedding Ideas ARE YOU A VENDOR? When the temperature changes, so do bridal gown styles. 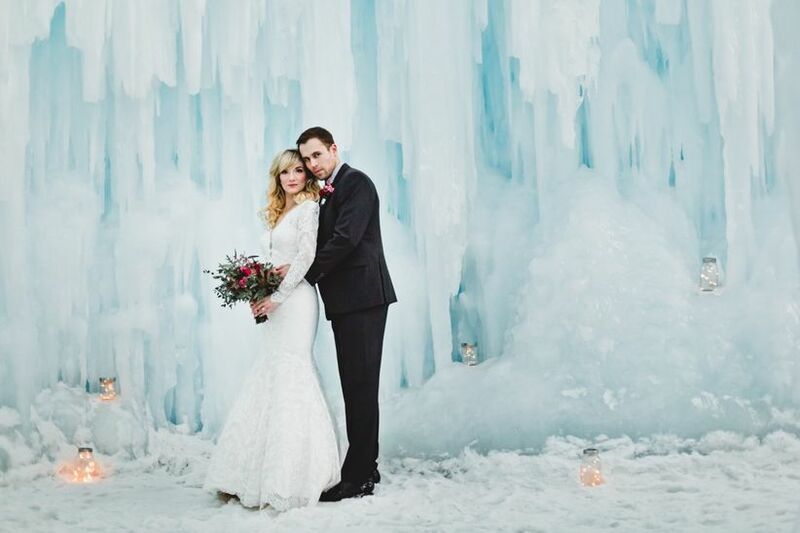 If you need a few tips for choosing your winter wedding dress, we’ve got your back. 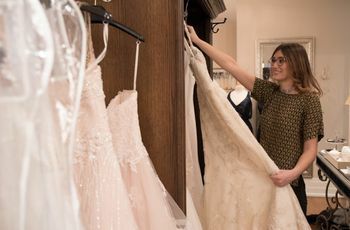 If you’re hosting your celebration in one of the cooler months, you may want to reconsider going with a lightweight, strapless style for your winter wedding dress. 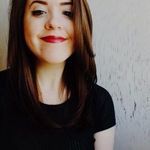 Things you need to think about? The weather, the heating situation at your venue and what you’ll be most comfortable and confident in. 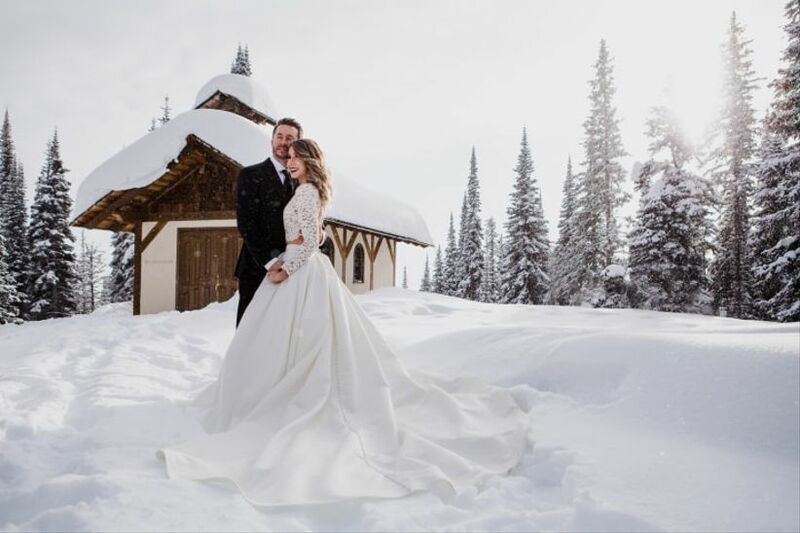 We’ve created a list of all the essentials for a winter wedding gown to help you absolutely nail your look. 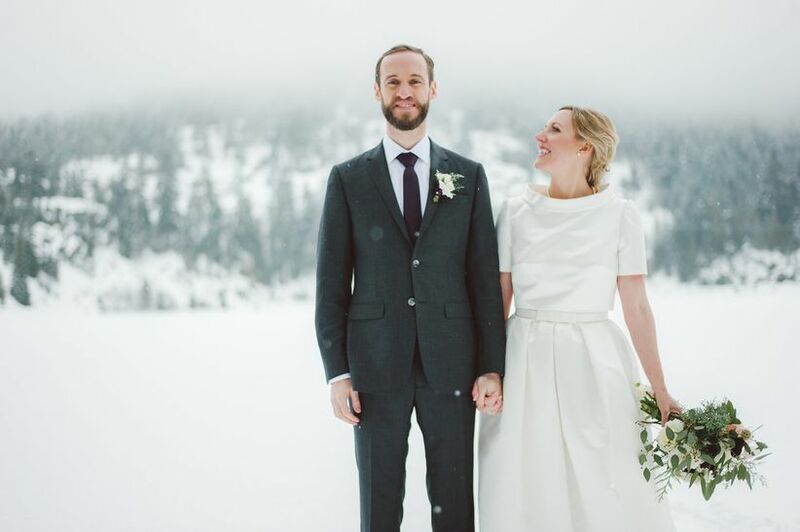 Here’s how to choose a winter wedding dress. Weightier textiles are your friends in the winter months. Consider choosing fabrics like silk mikado, brocade, faille, gabardine, velvet and moire. They’re much warmer than rayons, organzas and charmeuses, so you’ll be a bit more comfortable in the frosty air. Sleeveless dresses look awesome, but if you’re not in a balmy venue, you may find yourself shivering while saying your vows. We suggest opting for a winter wedding dress with more coverage, like a long or three quarter length-sleeved gown. Hey, it worked for Kate Middleton and Meghan Markle, so it can work for you! 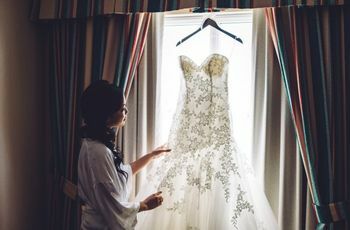 Larger dresses can not only make you look and feel like a total princess on your wedding day, but the extra layers of tulle and taffeta can help keep you warm, too. 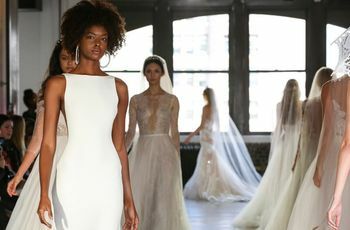 If a bold ball gown with layers upon layers of tulle or organza isn’t up your alley, try a more form-fitting silhouette made of a weightier fabric. Layering is key for a winter wedding, even if you’re hosting your event in a toasty warm venue. Why? Well, you’re probably going to want to snap some pictures outside and you don’t want to freeze when you’re going to and from your venues. You could go for a luxurious faux fur stole, a trendy jacket, a dramatic cape, or something completely different that complements your style. 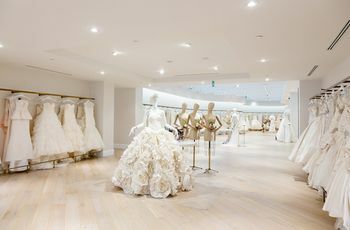 Whatever you choose, you’ll want to try it with your wedding dress first, so make sure it’s returnable! 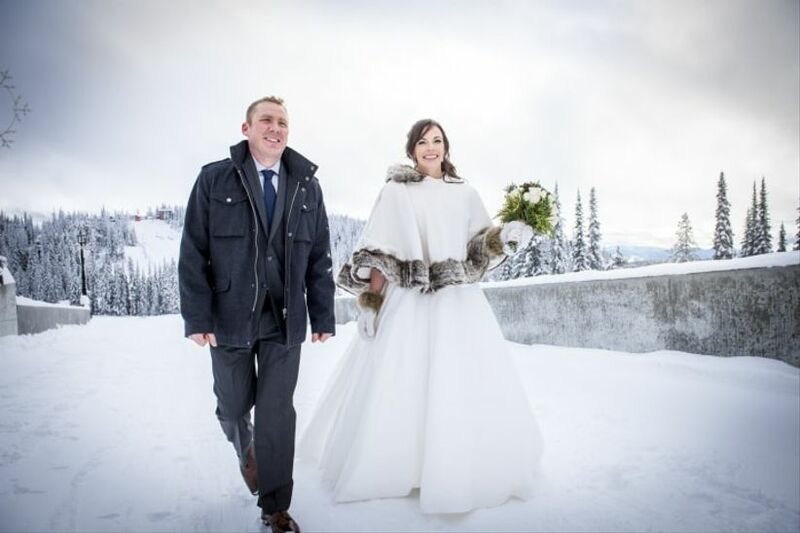 If you really want to wear a slinkier or strapless number at your ceremony, consider opting for something a bit warmer for your reception (or cooler, depending on the heating situation in your venue). 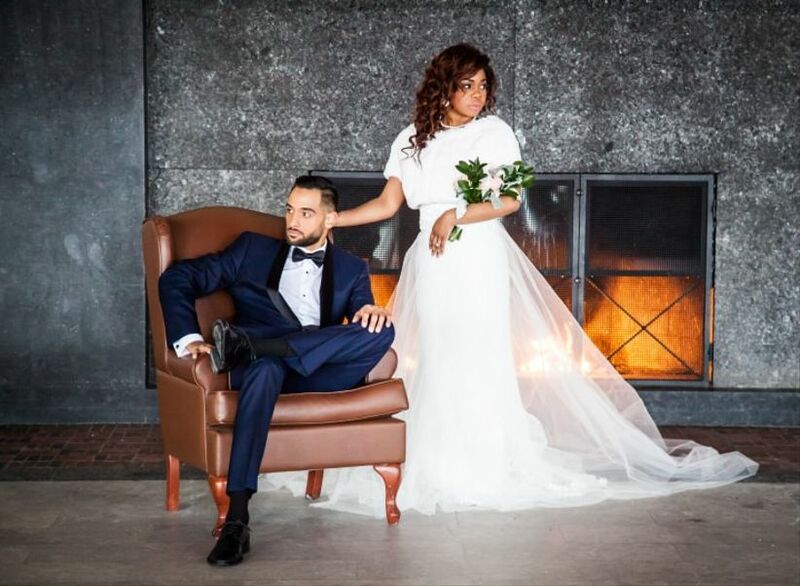 Find yourself a second look that’s just as showstopping as your main winter wedding dress, but a little more comfortable, so that you can spend your night eating, drinking and dancing in style without getting too warm or cool.